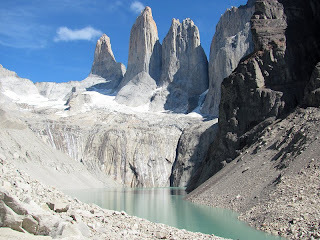 The Torres del Paine, a Patagonian icon, on a particularly clear day. 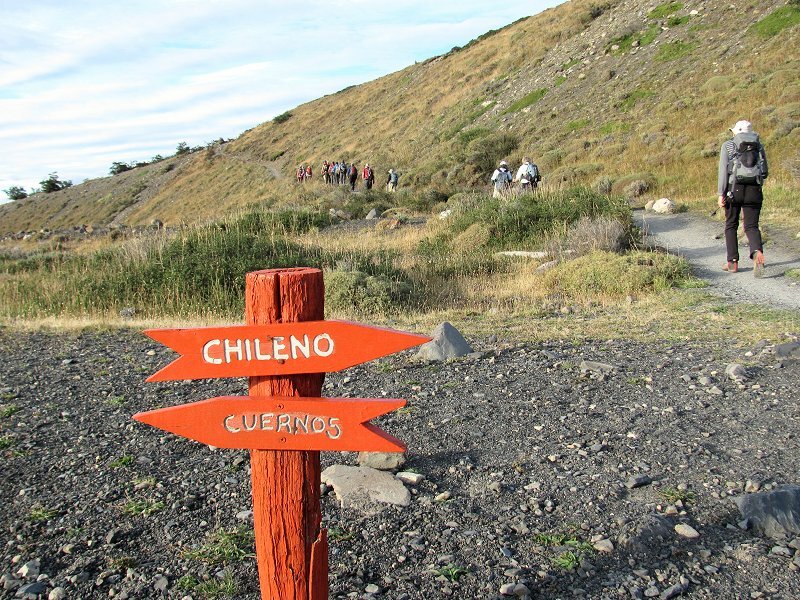 Sunny and warm with gentle breezes blowing--not a typical Patagonian combination! From left to right: The South Tower (Agostini), Central Tower, North Tower (Monzino). Descending into the valley of the Rio Ascensio. The black-topped peak of the Nido del Condor ("Condor's Nest") in the background. 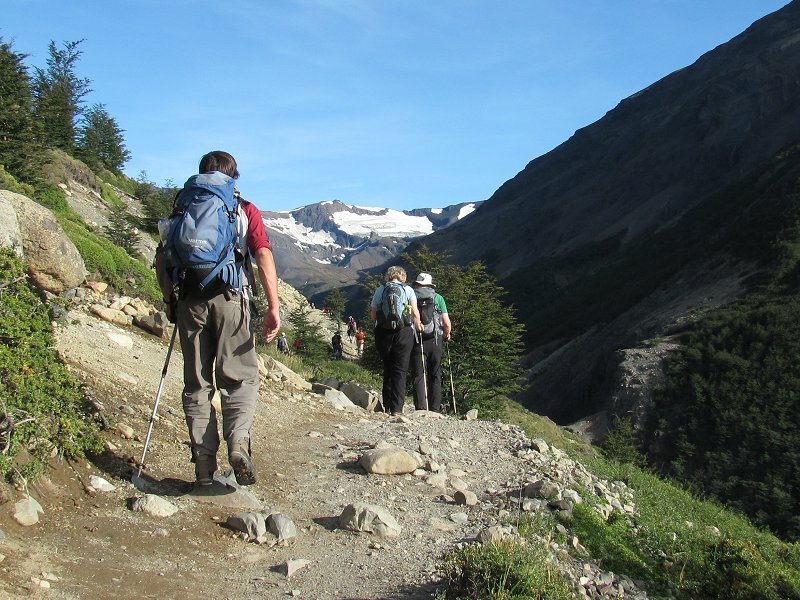 The trail ascends to enter the valley of the Rio Ascensio. 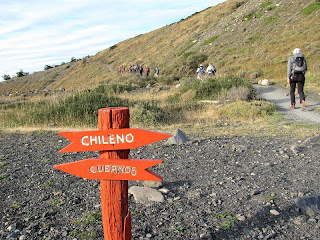 On our way from the Hosteria Las Torres to the Refugio Chileno in the valley of the Rio Ascensio. 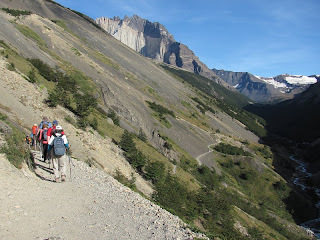 From there, we'll continue up the valley to the Mirador Las Torres. 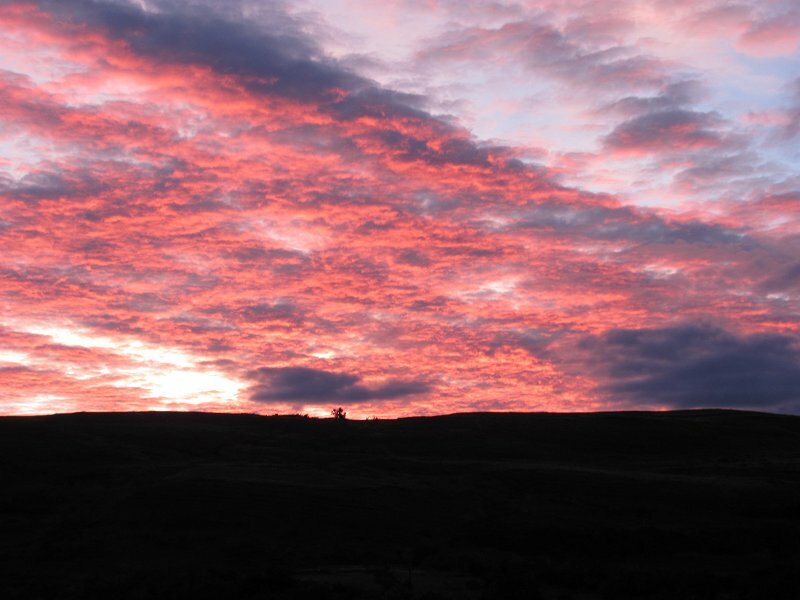 A beautiful Patagonian sunrise greets us on this first morning in Chile. Red sky in the morning...but I think it's gonna be a nice day!